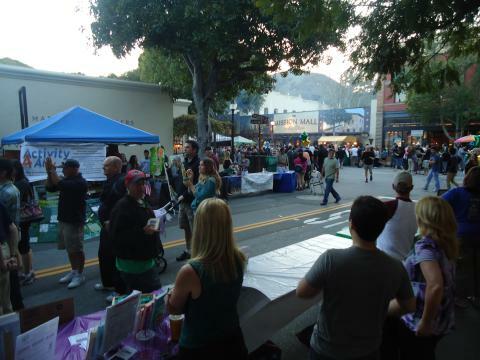 The annual Farmer’s Market Disability Awareness Night in San Luis Obispo provides community outreach opportunities to increase public awareness about equipment, products, services, and agency programs relating to disabilities, accessibility, mobility, seniors, and veterans. On Thursday, May 8th, 2014, the Garden Street area will have vendors and exhibits dedicated to raising awareness about living a limitless life with a disability. Exhibitors will offer their products, equipment, and services that allow adults and children with disabilities, seniors, and veterans to live more independent and productive lives. If you would like to attend the Farmers Market Night, simply show up to the Downtown San Luis Obispo Farmers Market on Thursday May 8th. To participate by being a vendor in the Disability Awareness Night, please contact Jason Portugal at jmportugal@ucp-slo.org.